Is GPay unauthorised? Are you going to lose your favourite money-sharing app? 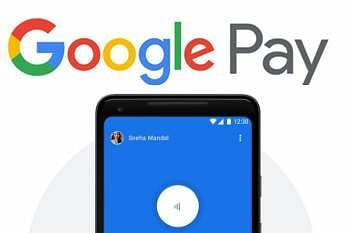 The Delhi High Court on Wednesday asked the Reserve Bank of India (RBI) how Google's mobile payment app, Google Pay, was facilitating financial transactions without the requisite authorisation from it. A bench of Chief Justice Rajendra Menon and Justice A J Bhambhani posed the query to RBI while hearing a PIL which claimed that GPay was acting as a payments system provider in violation of the Payments and Settlements Act as it has no valid authorisation from the central bank of the country to carry out such functions. The court issued a notice to RBI and Google India seeking their stand on the issue raised in the plea by Abhijit Mishra, who has contended that GPay does not figure in RBI's list of authorised 'payment systems operators' released by the central bank on March 20, 2019. GPay is a digital wallet platform and online payment system developed by the internet search giant Google to power in-app and tap-to-pay purchases on all kinds of mobile devices, enabling users to make payments with Android or IoS phones, tablets or watches. In January last year, the older versions called Android Pay and Google Wallet had been unified into a single payer system called GPay. Android Pay was rebranded and renamed as Google Pay. Google Pay adopted the features of both Android Pay and Google Wallet through its in-store, peer-to-peer, and online payments services. The rebranded service of GPay provided a new API to users that allow merchants to add the payment service to websites, apps, Stripe, Braintree, as well as Google Assistant. The service also allows users to use the payment cards they have on file with Google Play. In September 2017, Google launched an UPI-based app called Tez in India. On August 28, 2018, Google rebranded Tez to Google Pay. Following which, a lot of complaints came in that the payments service was down for those who have updated their app from Tez to Google Pay. Users took to social media to report the problems and Google Pay India officially acknowledged the issues and reverted back. The Google Pay app also added options for booking boarding passes and event tickets in May 2018.